In addition to the regular home moving service, we offer a special off-peak product for those choosing to move mid-month. We handle everything from packing to final arrangement at your new house. Whether you have children’s items, garden items or rare collections we take the anxiety out of moving, ensuring your domestic life is not disrupted. Does your organization frequently relocate staff around Kenya and East Africa and overseas? 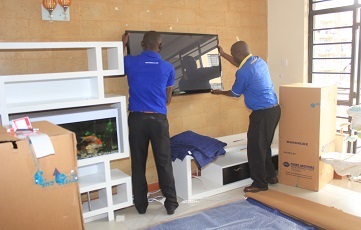 We handle house moves for staff ensuring no disruption to their work schedule.